Of all the manoeuvres that you have to master for your test, reversing around a corner is one of the more unsung difficulties. 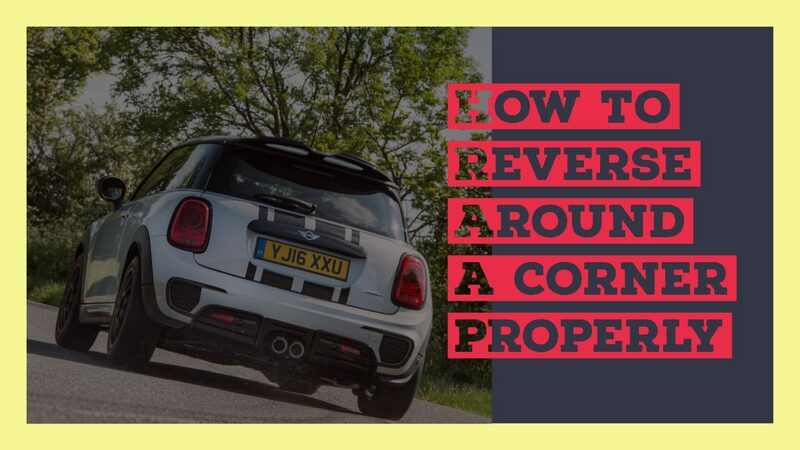 People baulk at the three-point turn and parallel park – and for good reason if you don’t have the calm, applied knowledge that Alfie’s Driving School can teach you – but the around-corner reverse can be just as tricky. In places such as Romford, Ilford and Dagenham, the roads are often busy, with parked cars that may obstruct your reversal, cyclists who can appear out of nowhere and plenty of pedestrians. If that doesn’t seem stressful enough, all of these people and obstacles are also often in a rush! Don’t worry though, with these handy tips, you’ll reverse around a corner with no problems, every time. You’ll probably hear a lot about these three letters when you learn to drive with Alfie’s, and for very good reason. Failure to Prepare, Observe and Move correctly can result in anything from a scratch up to something far more serious, and it is crucial that you are always aware of your surroundings and ready to act. We’re going to assume that you’re parked nearby the kerb, by the corner in question for this. So, prepare the car. In this instance, you’ll be reversing, so put the car into reverse and get your biting point. This requires slow, careful movement, so don’t worry about gas – using the break and clutch will be fine. Next, observe. Check all of your mirrors, out of your back window and, perhaps most importantly, your blind spot. Once you have checked, double checked and are completely satisfied, gently release your break to allow the car to move backwards. Moving very slowly and controlling with your clutch only (be ready to use the break if necessary though), gently move the car backwards until you see your front door handle go level with the second painted black on entrance to the road. When this happens, put a three-quarter turn, left hand down, on the wheel, making sure to keep observing all of your mirrors and out of the windows. Keep an eye on the kerb – if you think you might hit it, then take some of the turn off. Once you are around the corner, it’s a matter of staying parallel with the kerb and keeping a close eye for hazards in your new location. Adjust your steering accordingly and try to get your door handles in line with the kerb. Once this has been achieved, take off the three-quarter turn and come to a halt wherever you are instructed to, being sure to put on the handbrake and go into neutral. Congratulations, you have reversed around a corner!